Amorgos is one of those Greek islands that enchants people with its dramatic landscape and peaceful way of life. 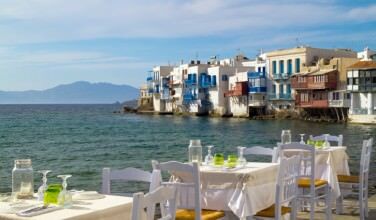 In many ways, it is a typical island of the Cyclades, filled with whitewashed homes and plenty of sunshine to satisfy any beachgoer. Guests can fill their days by exploring the countryside, browsing through the shops, eating in a traditional restaurant, or taking in the scenery. 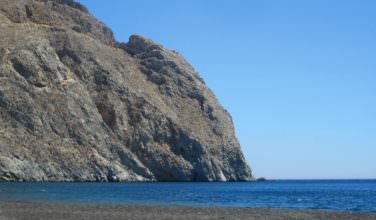 This is an island that’s also rich in history, and evidence of that can be found throughout Amorgos. This village is located in the direct middle of the island, which means that it is a pretty good choice for a place to stay. Located roughly 400 meters above sea level, or over 1300 feet, Chora feels as if it has an ideal location. There are many views here that are incredible and the streets are filled with charming shops and cafes. There is also a clear medieval presence here and many of the buildings show that influence, which gives Chora an interesting feel. Even if you would rather stay by the sea, Chora is still worth a visit for at least a day just to take it all in. Although Thalaria isn’t as high up as Chora, it is high enough to make this village seem as if it was cut from the landscape itself. At over 180 meters high, or over 500 feet high, this village does have some views, even though they aren’t as dramatic as Chora’s. Still, this village is worth visiting because it has a charm all its own because it is near the mountains and has a great view of the sea. If you are looking for a seaside village to spend time in, you won’t want to miss the chance to visit Katapola. This is also the main port of the island, which means that if you come here by ferry, you’ll want to give yourself time to explore even if you’re moving on to another part of the island. One of the most charming things about this village are the windmills that are scattered throughout. It is also a great place to spend some time by the water. 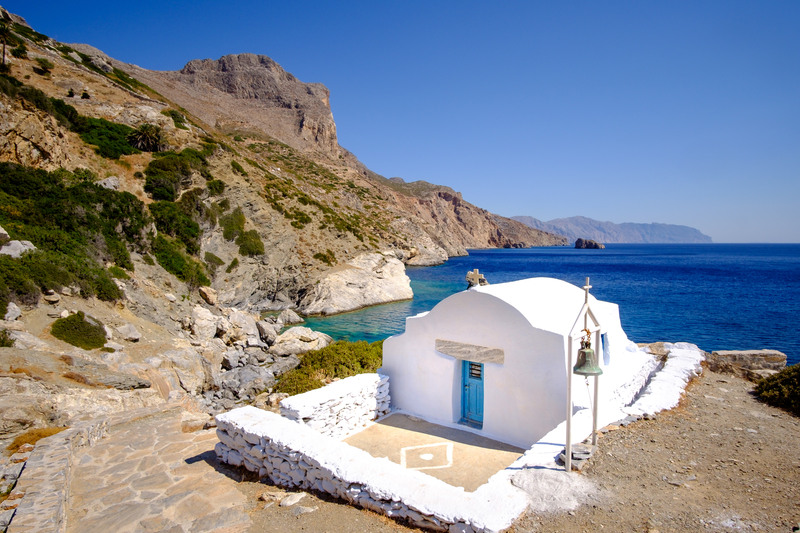 One of the greatest things about spending time at an island like Amorgos is the fact that it gives visitors a chance to glimpse traditional Greek island life. The village of Arkesini is adorable and charming and since not many tourists venture here, you have the chance to see what life is really like on the island. The people of this village raise cattle, grow their own food, and make their living as fisherman, which only adds to its charm. While on the Greek island of Amorgos, you should spend some time at at least one of these villages.